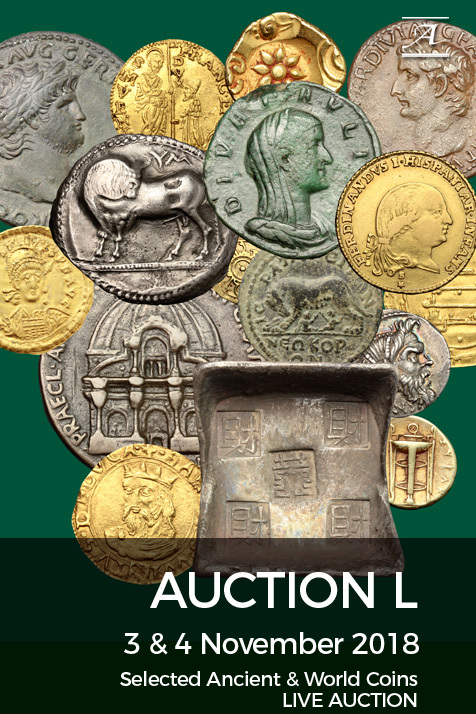 Coins 11 Greek Italy. Samnium, Southern Latium and Northern Campania, Aesernia. 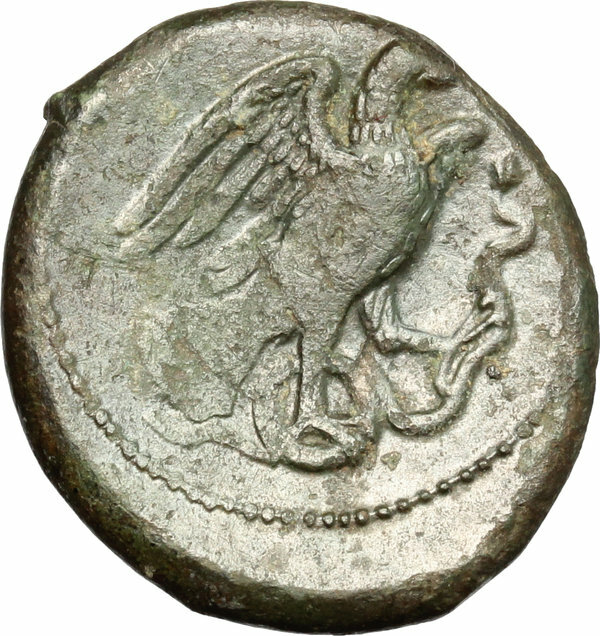 AE 21 mm., 263-240 BC. D/ AISERNIO. 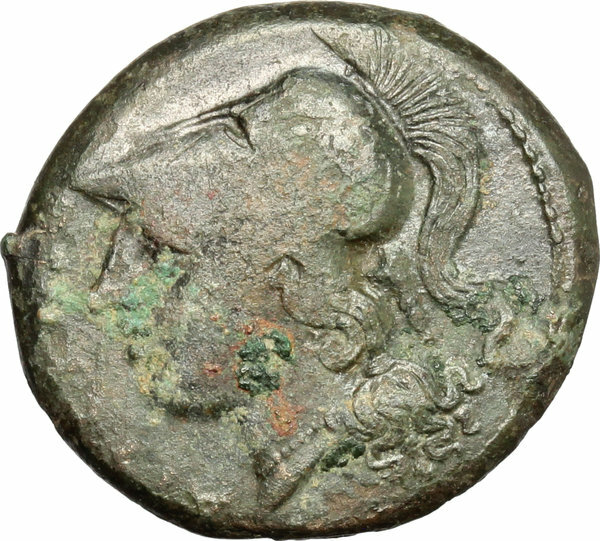 Helmeted head of Minerva left; behind, club. R/ Eagle right, grasping snake. HN Italy 429. SNG ANS 117. AE. g. 7.19 mm. 21.00 RR. Very rare and seldom offered for sale. Green brown patina, with lighter green and reddish spots on obverse. VF.